KATHMANDU, July 16: Small enterprises including beauty parlors and small-scale shirting and suiting shops will have to mandatorily register in Value Added Tax from Tuesday, the first day of the Fiscal Year 2018/19. The provision endorsed in the budget has put these small enterprises under existential threat, according to Federation of Nepalese Chambers of Commerce and Industry (FNCCI). 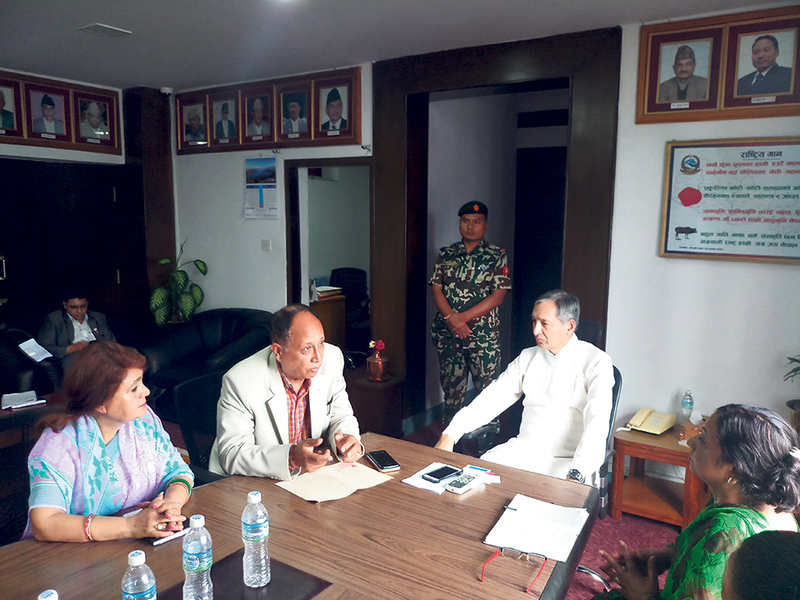 An FNCCI’s delegation led by its Vice President Kishor Pradhan met with Finance Minister Yuba Raj Khatiwada on Sunday and raised concerns that the profession of beautician and small-time tailoring may go extinct. The team urged Minister Khatiwada to allow these enterprises to go for VAT registration based on VAT threshold provision and not on mandatory basis. The government introduced the provision in the annual budget to bring several small businesses under VAT. The delegation also expressed its concern on lowering of the budget allocated for women entrepreneurship fund for the next fiscal year. The FNCCI has said that due to the lowering of the fund’s budget, it would be difficult to meet loan demands of potential women entrepreneurs from small and cottage industries, according to a press statement issued by FNCCI after meeting with the minister. The fund is in operation under the Department of Small and Cottage Industry. Khatiwada however argued that women entrepreneurs running small enterprises can borrow up to Rs 1.5 million at a subsidized interest rate of 6 percent in collective collateral. Khatiwada assured the delegates that the government would address the demands put forward by the private sector as far as possible.